"I think ‘The Voice' pressured situation you are thrown into...there is no time for nervousness, that helped me when I get nervous," said Javier Colon, the first NBC's "The Voice" winner, about performing live Wednesday May 4, 2016 at Rams Head on Stage in Annapolis, Maryland. Javier said you have to have confidence in yourself to counteract the nervousness that artists feel when performing. Since winning "The Voice" this soulful Pop/Rock/R&B singer, song writer and guitarist has recorded and released four albums. His latest project release was on the first of April and is titled "Gravity" (Concord Records). Those attending his concert May 4th will get to hear selections from that album and his previous projects. "It's been lots of ups and downs, been crazy and a blessing," Colon informed me when asked about his career journey since his national debut and win. "I've been signed to a couple of different labels. I know how rare it is (control over your album). Some songs don't come out. Some times it can work (label choosing songs on the album)...I love to collaborate." Javier said he was seeking and found creative control over this album at Concord Records so that he can brand the project as he wanted. He said what he doesn't like is, "when they are trying to shape the entire album and you're trying to be a certain artists." His first album after "The Voice" win was on Universal Republic Records. He then released a project on Capital Records and then his own label. "Gravity" is his forth album on Concord Records. Colon has performed, as opening act, in Japan for saxophonist Dave Koz and in Mexico and South America for Maroon 5. "Oh my goodness, yes I have great creative control," Javier said when asked about how much control over his album he has at Concord Records. "When I made this record I was not pressured to be anyone or to sound like anyone. It is really great to do want I want to do with no outside pressure. It was the best situation." 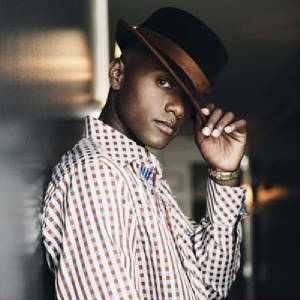 Hear the Soulful Pop/Rock/R&B sounds of Javier Colon Wednesday May 4th at Rams Head on Stage in Annapolis, MD at 8 p.m. You can learn more about Javier at www.JavierColon.com.